Who doesn't love a good dip?! One of my favorite places to eat around here during the spring and summer is on the patio at Cabo Fish Taco. Their lemon garlic grilled shrimp tacos with a side of jalapeño mashers is amazing! And like any good restaurant they start you off with a little something to tide you over until dinner (or lunch) is served. 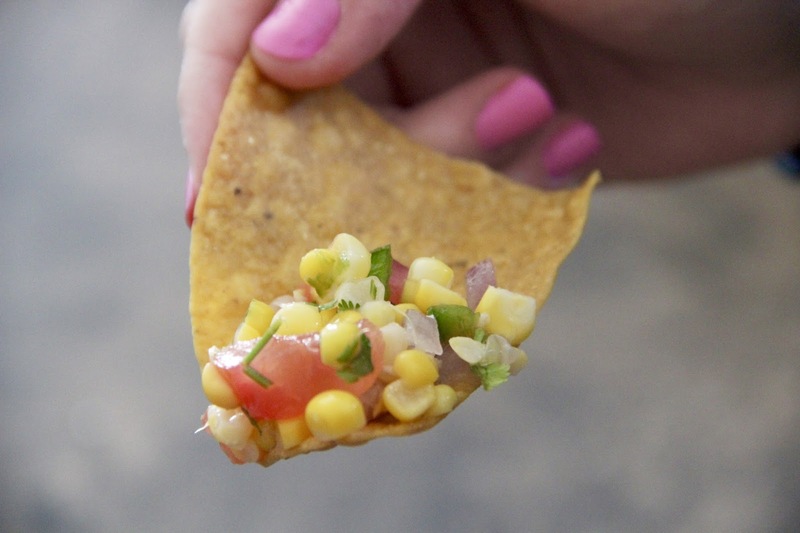 At Cabo that little something is chips and corn salsa. I am crazy about it. So crazy in fact that I needed to figure out how to make a copy cat version for at home. With Cinco de Mayo being tomorrow, it felt like the perfect time to share what I whipped up in my kitchen. And I think you're going to love it! Boil corn on the cob until the kernels are tender. About 10 minutes. 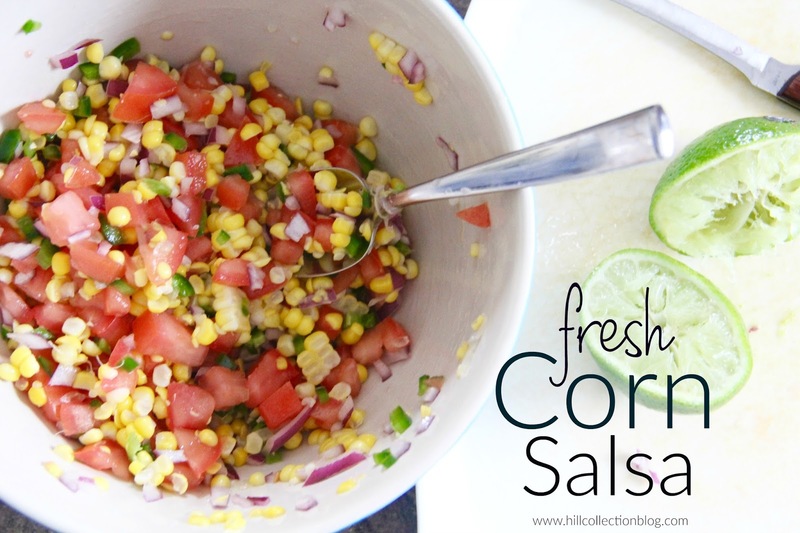 Slice the kernels off the cob and combine in a bowl with the diced tomato, onion, and jalapeño. 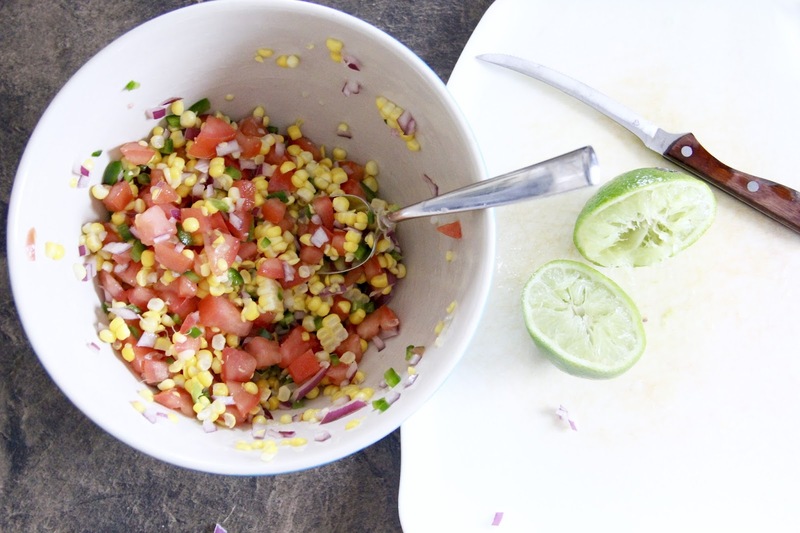 Add the lime juice, chopped cilantro (add as little or as much as you like), and salt. Toss and serve with chips. For other Cinco de Mayo recipes to serve up tomorrow, check out my Chicken Burrito Bowls with a Creamy Chipotle Sauce and my Virgin Tropical Margaritas!